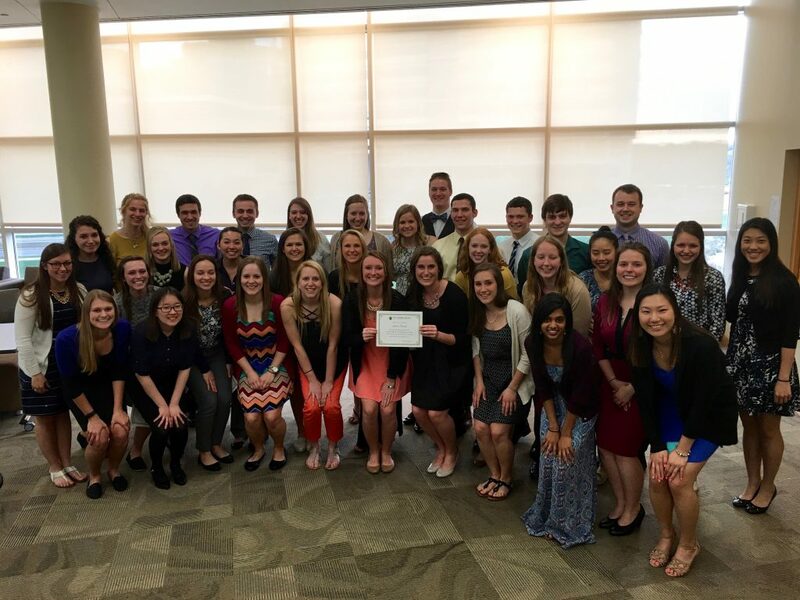 Formed during the 2015-2016 academic school year, the Leadership Development Track (or LDT for short) is a composite of activities identified through Phi Lambda Sigma, the School of Pharmacy and the profession of pharmacy as a way to hone individuals’ leadership goals and foster leadership development within the student body. PLS will be holding a ceremony at the end of the year to celebrate those who complete the LDT. Below are the seven (7) requirements for the Leadership Development Track. Interested in leading a breakout session and getting credit for it? Contact us! Other events as they come up during the year- watch for reminder emails or send us an email if they find something you are interested in! For more details, see the Verification Form. In order to complete the LDT you must turn this form in . If you have any questions/comments/concerns feel free to contact Andrea Gray(alnagel@wisc.edu) or Jordan Hilsenhoff(jhilsenhoff@wisc.edu). If you are wondering if an event qualifies for one of the requirements, contact us! Monday, February 11th, 7:45-8:45 AM in Rennebohm room 1116. Kari Trapskin, Vice president of Health Care Quality Initiatives at PSW will be joining us. Monday, March 11th, 7:45-8:45 AM in Rennebohm room 1116. Kyle Miller, supervisor of the specialty pharmacy at SSM Health, will be joining us. Date TBD. We will be hosting a faculty panel on clinical practice and research opportunities outside of the School of Pharmacy. Tuesday, February 12th, 12:00-1:00 PM in Rennebohm room 2339. Join Katie Sherman and Rachel Kent to discuss taking on new leadership roles! Date TBD. We will be discussing self-care for busy professional students. Wednesday, March 13th, 6:00-7:00 PM in Rennebohm room 2233. We will be discussing executive presence. Tuesday, March 26th, 12:00-1:00 PM in Rennebohm room 2339. We will be discussing ways to update your CV! Date TBD. We will be discussing professional speaking. Date TBD. We will be discussing how to get the most out of your DPH-2 internship. Wednesday, March 13th, 5:00-5:45 PM in Rennebohm room 2006. We will be having an admin residents panel. Celebration Ceremony for LDT Completers!